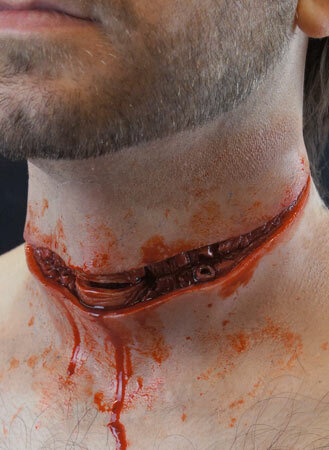 A Cut Throat Prosthetic measuring approx. 230mm x 120mm. 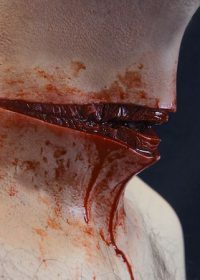 Ideal for injury / casualty simulation (moulage). 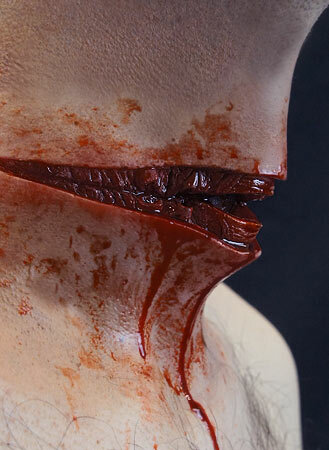 Try our Wound Colours Palette to create extra bruising / trauma to create an even more gruesome effect.